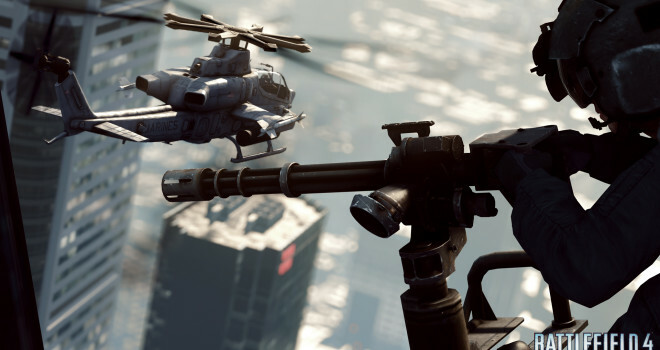 Battlefield 4 has had a rocky launch and months later is still struggling with all the in-game problems that flawed it from the start. DICE has been working on fixing these problems and three updates are available that do help resolve some of the issues with the game, but does not fix all the problems. Game crashes are less likely with these updates, but still occur with no real way of preventing them. DICE has announced that a fourth game update will be available later this month and will accommodate weapon balancing and finalizing the net code problems that result in game crashes. As of right now, we know that DICE is looking into balancing the grenades, specifically the RGO Impact grenades and the V40 Mini grenades as well as the under powered DMRs in the game. Now three law-suits underway against EA executives due to the integrity of BF4’s status, DICE is really working hard on repairing the games. Another concern with Battlefield 4 is the advertised emphasize on FrostBite 3’s engine, which is ‘levolution.’ And the free map-pack, China Rising for pre-ordering BF4 contains NO LEVOLUTION. The reason why the first DLC to the game did not include levolution could be explained because of the problems BF4 has as of right now. And perhaps the developers thought it would be best not to include the levolution, because often the levolution is the reason for game crashes. However, DICE has not said anything about why there is no levolution for the China Rising map-pack, and doesn’t make sense since the Second Assault DLC does have levolution. And the next big question is when will fans who pre-ordered the game get the China Rising map pack yet? It has been out for many weeks now, first available for Xbox One and premium members, now how about everyone else? And when will Second Assault be available to premium members since it is only available on Xbox One as of right now. Clearly, DICE has a lot on their plate and we know they are working hard to fixing the game. Anyone with questions or concerns about BF4 can go over to battlefield4 control room where you can post questions to the devs as well as see the stated progress on what is being under-go by DICE towards fixing the game.